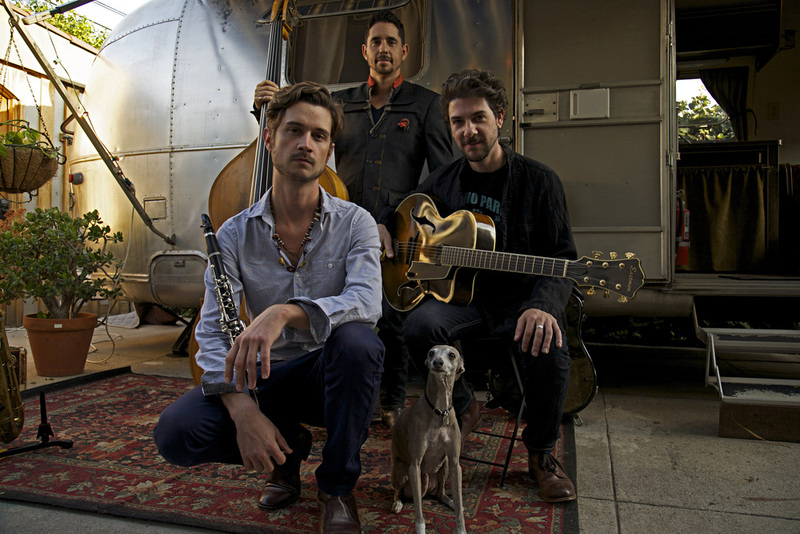 "world music with taste, youthful exuberance and consummate musicianship." 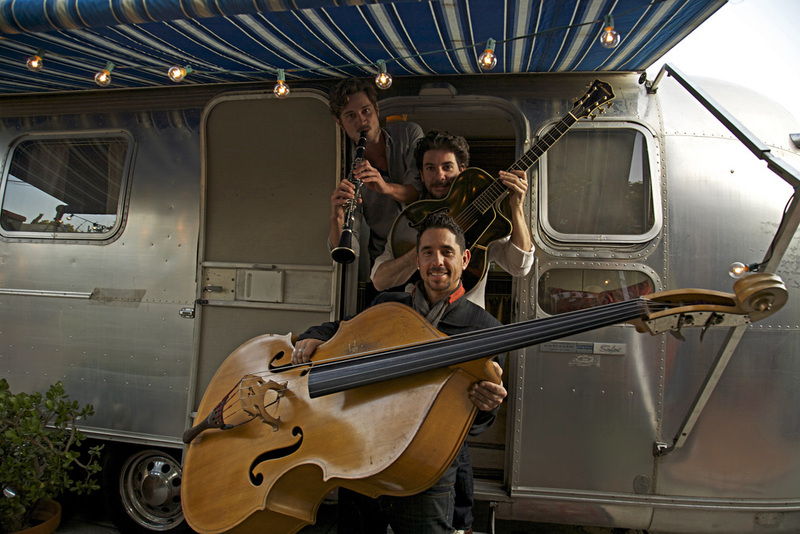 Shoestring Trio is contagious to all those who cross their path, from the French countryside to Paris, and all along the US west coast. 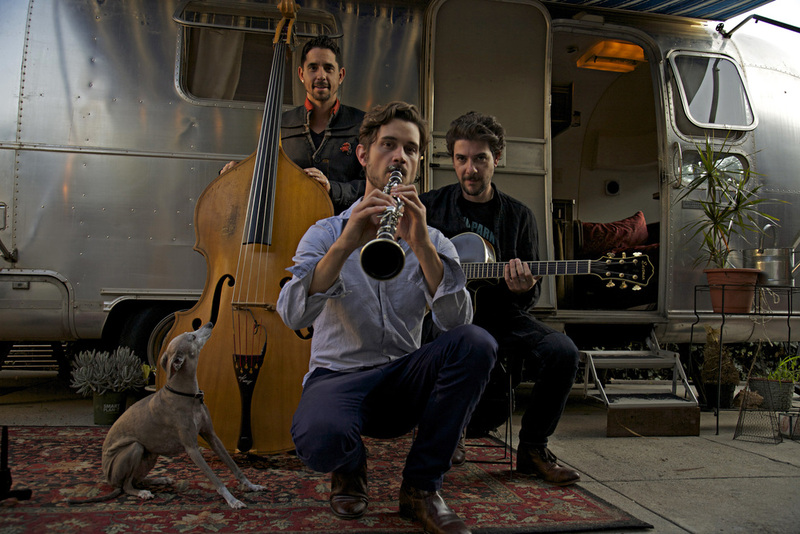 Armed with an arsenal of woodwinds and plucked strings, they started forging their own grassroots tours in France and the US, completely redefining for themselves and their organically grown fan-base what it means to live a life in music. 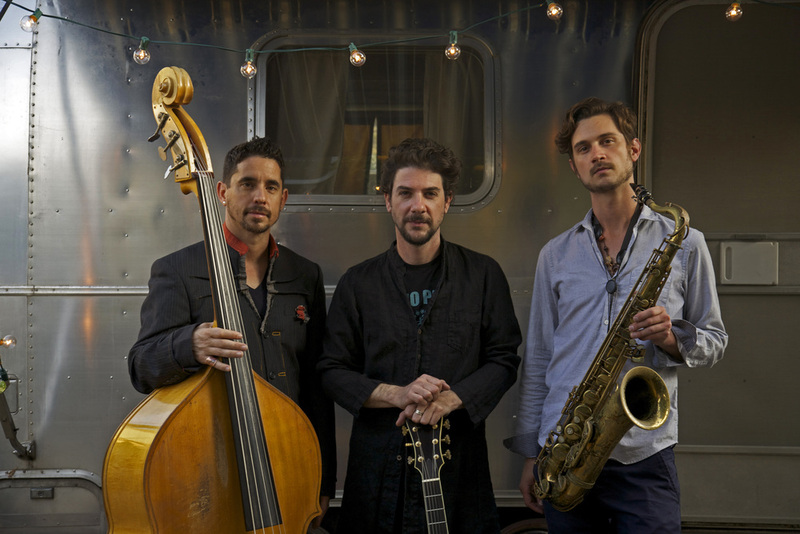 Combining flavors of gypsy swing, samba, old-school jazz and pop covers, Shoestring Trio creates a ride that's impressive and inspiring for everyone.